Yeah, but: It's good, but I don't actually like it. The Long Version: Crumpler is one of those interesting companies - hip, trendy, and edgy - that make me hit the "no flash" option as soon as it pops up on their website. While I'm always partial to any quirky Australian brand, a quick perusal of their site is all it takes to see that their 'Home' series of camera bags is one of the more sensible nomenclature choices that they've made. Ranging from One to "Brazillion", the Six Million is the second-largest of their sensible sizes. These messengeresque Crumplers are a welcome relief from the sea of black nylon boxes, and their names with numbers in them, that make up the majority of carrying cases at the local camera store. It's a department that desperately needs some colour, even if the black Crumplers are the ones that sell the best. Camera bags are highly personal. Some people, almost certainly most people, like heavily padded bags that protect the expensive gear inside. Check out Tenba's Black Label collection for an extreme example of this, with a full inch of foam at the bottom. The Crumpler doesn't go that far, but it's still quite firm-yet-flexible with padded dividers, bottom, and walls. The fabric lid is a thick two-layer construction, and the inside is completely lined with soft grabby material for the velcro-enabled dividers. It's closed by an unzippered flap, and with its latching combination of velcro and nylon quick-snap (or two, for the current style) the whole thing feels like I could stick a whack of postage on it and drop it in a mailbox. The Six Million Dollar Home is my mid-sized bag: the one that I use when my Domke F-6 is too short for a tall lens, but my F-1X would fold in half with so little equipment. Here it's tightly carrying my Nikon kit, with the D700+MBD10, Sigma 180 with its collar, an SB900, and two SB600's - one with an Omnibounce - stored nose-to-tail. If I had taken this photo with my Nikon, then it would show my Olympus E-3 with grip, 35-100 f/2 lens, FL-50, and either 7-14, 12-60, or 50-200 depending on my mood. That's some pretty big gear, but at the same time, the bag holds far less than I think it should for its cubic volume. That's largely because the bag isn't a cube: there's a reason why a van and a sports car look so different. While the specs say that there are another four pockets on the bag, they're vestigial. Anything thicker than a wallet - cash, cards, or filter - will bulk up the front pocket and make the bag impossible to close. The two side pockets are so discreet that it took me months to find them; because they're narrow and the full depth of the bag, a camera battery can disappear down there and needs the bag to be emptied to retrieve it. The mesh pocket across the underside of the lid is more accessible, but anything hard in it will be across the curved top of the bag and can stop the bag from closing smoothly. This is not a utilitarian bag, and that's the tradeoff to it being one of the sleeker camera bags on the market. Essentially, if it doesn't fit in the main compartment, don't plan on carrying it. But it is really, really well padded. I said earlier that I don't actually like my Six Million Dollar Home, and I mean that on an entirely personal level. Compared to my Domkes it leaves me unenthused and makes me feel like I'm carrying a styrofoam cooler on a strap - but that's just me. There's absolutely nothing wrong with the bag itself, especially if you expect a camera bag to be constructed from foam and velcro. The build quality is superb, and the design is something that's hard to find from the nylon box companies. 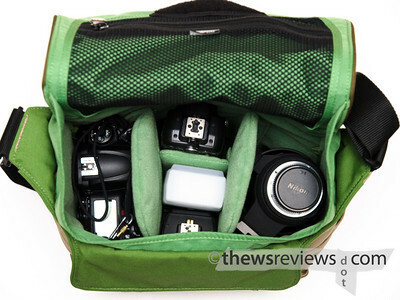 Crumpler bags are popular for a good reason, even though their price point is a barrier for the casual photographer. My Six Million Dollar Home is actually the oldest camera bag that I'm still using; I bought it as a step up from the Tamrac and Lowepro bags that I still have stuffed in the closet. 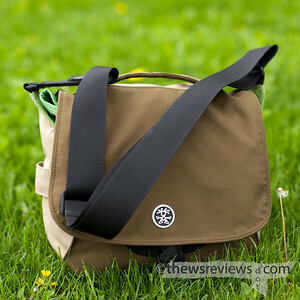 Most people will be thrilled with the design of the Crumpler, the same way that some of us enjoy simple, softer bags. I've been on the verge a couple of times, but I still haven't quite brought myself to buy a Domke to replace my Six Million. Coming from me, I suppose that's almost an endorsement. I was just at the Crumpler store in Toronto yesterday checking out a 6 Million Dollar Home. It wouldn't hold much more than the Lowepro TPZ2 I'm using right now for my walkabout kit. Seemed very well made however. Now, if they had a camo coloured version I would have bought, moreso for the camo than the bag itself. Hi Matthew, would you happen to know if the 6 million dollar home would be able to accommodate a D600 with grip, 24-70, and 70-200VRII? I think it probably would; the 70-200/2.8 is about the same size as the Olympus 35-100/2.0, which took up a third of the bag (with its hood reversed) but was about as tall a lens as could be accommodated. The gripped D600 would fit across the middle, and the 24-70 can go on the other side. But a 7 million dollar home would probably be a better choice.